It’s all eyes on eyebrows! Follow the 4 steps to define your own style and create your perfect eyebrows. 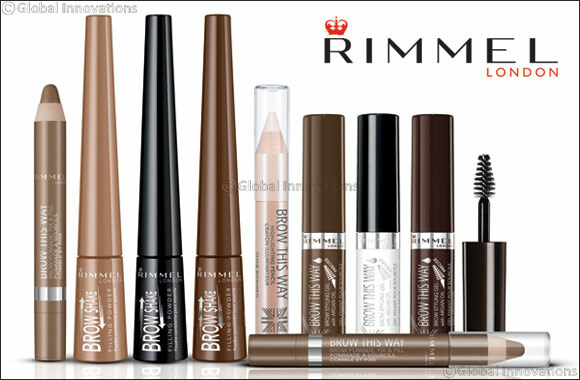 Rimmel has all the tools for WOW brows!! Define your eyebrows in the desired shape with the Professional Eyebrow Pencil or use ultra soft Brow Shake Filling Powder to define and fill your brows. NEW Brow Pomade: apply the creamy buildable formula on the brows for a natural to bold look. Use Brow This Way Gel to tame and fix your eyebrows. Choose the transparent one for a more natural look and the medium or dark shade for a bolder look. Apply the NEW Brow This Way Highlighting Pencil under the brow bone and in the inner corner of the eye to illuminate the whole eye area. You can choose between the two shades: matte or shimmer.